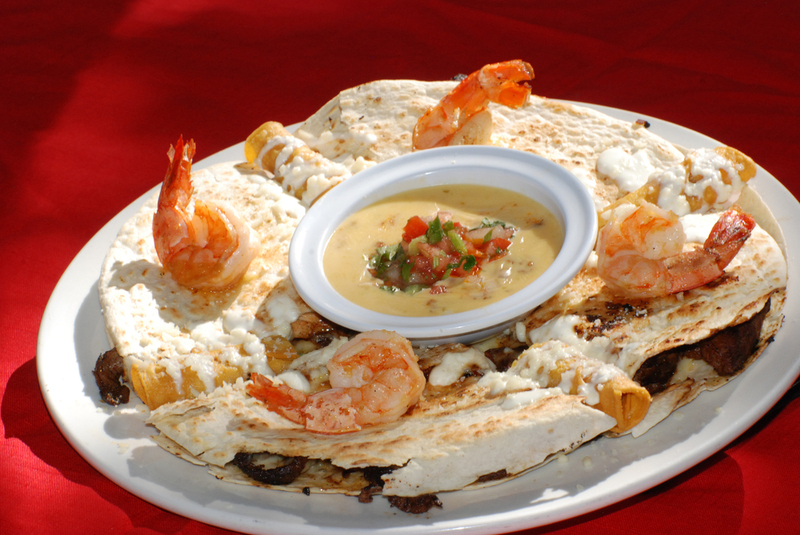 Located in South Charlotte, Cabo's serves a variety of Mexican Cuisine with attention to detail and service. At Cabo’s Mexican Cuisine & Cantina, por supuesto! Located in the Carmel Crossing shopping center in south Charlotte, Cabo’s takes pride in serving our customers authentic Mexican dishes made fresh daily. Our Salsa, Chips, Guacamole and Pico de Gallo are incomparable. The homemade Tamales from Mom’s recipe are wrapped in cornhusk for the best taste and to retain moisture. And our Fajitas, Carne Azada, and rib eye steaks are marinated overnight with the finest Mexican ingredients. Looking for authentic Mexican beverages? We serve premium Margaritas including Patron, Don Julio, Cabo Wabo and others. Not to mention a large selection of beer, wine, liqueurs and non alcoholic drinks. Here at Cabo’s, it’s all about fun, delicious foods and a friendly and relaxing experience. Whether you want a quiet dinner or you are out celebrating a big event, we want to make you, your family, your friends and coworkers feel like you’re at home, ‘Your Mexican Home’ here in Charlotte.